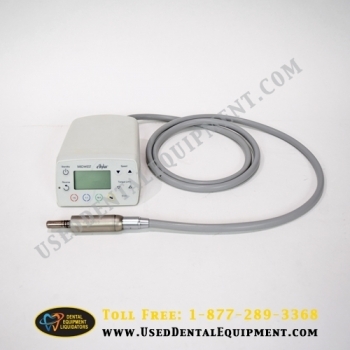 An electric handpiece system that excels at high speed, low speed, and endodontic procedures. The wireless remote display and control unit shows true bur speed and allows the dentist to use his or her existing foot pedal. With powerful, smooth and quiet cutting power, dedicated endodontic functions, fusion optics and a 4-port spray, and at-your-fingertips control and information, eStylus offers power, flexibility and value.